We'll be updating every weekday til the end of this week with this excellently fun guest story by E. Baird! 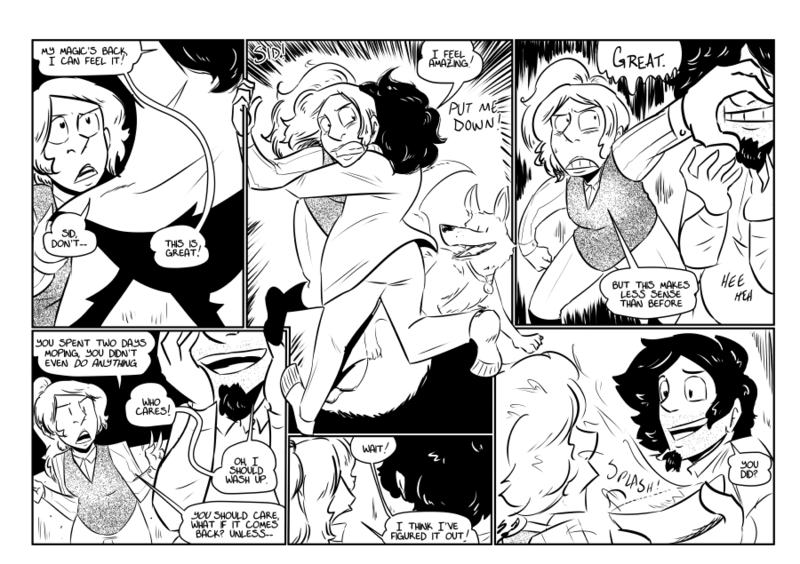 Please check out their lady-led alt history western comic Altered Frontier, which has just started a new chapter this week! There'll be a character Q&A on the week of April 4th, if you'd like to submit a question please use my Tumblr Ask Box to do so- no signing up required! Regular updates will resume on April 12th, see you soon!